Creamy concealers in 8 shades, Simple to use and a must have multifunctional product. Can be used on its own for a flawless base, Spot correcting, Highlighting or contouring. Great to clean up your brows or brighten under the eyes. One swipe to erase your woes, Provides medium to full coverage, Buildable, Lasts all day. Explore the entire range of Concealer available on Nykaa. 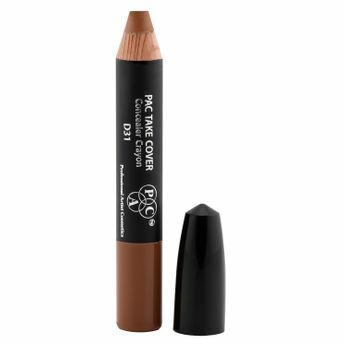 Shop more PAC products here.You can browse through the complete world of PAC Concealer .Alternatively, you can also find many more products from the PAC Take Cover Concealer Crayon range.